A long beach backed by an extensive National Trust area. 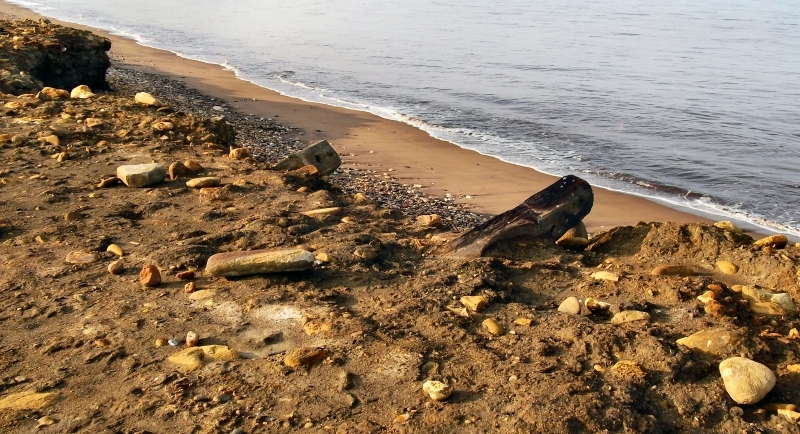 Part of the Durham Heritage Coast, this beach still bears the marks of its mining heritage. The colliery waste, which was disposed of by being dumped on beaches, is gradually being washed away. Horden Beach is on the Durham Heritage Coast. The tide at Horden Beach is currently falling. Low tide will be at approximately 3:23 PM, and the next high tide will be at approximately 9:49 PM. There is a car park just behind the beach, off the B1283. around 11 miles north-northwest as the seagull flies, around 14 miles by road. Visitor information for Horden Beach, County Durham, England. Weather, tides, visitor comments, beach facilities, photos, nearest postcode, beach information and nearby accommodation.